The National Oceanic and Atmospheric Administration (NOAA) in the United States, has chosen Thales to develop and build an operational ground station in the southwest part of the country, at Holloman Air Force Base in New Mexico, to track Global Navigation Satellite System (GNSS) satellites operating in medium Earth orbit (MEO). The ground station will receive and process 406 megahertz distress beacon signals from the MEO satellites being tracked, and relay them to the US SARSAT (Search and Rescue Satellite Aided Tracking) program’s Mission Control Center (USMCC), via U.S. government communication links, for validation and distribution to rescue authorities, according to a Thales Alenia Space press release issued on Monday. This ground station will be designated the National Oceanic and Atmospheric Administration’s Southwest USA Medium-Earth Orbit Local User Terminal (SUSA MEOLUT), and will be an integral part of the MEO-based ground system operated by the USMCC. SUSA MEOLUT will be working in conjunction with NOAA’s two operational MEOLUTs, located at the U.S. Coast Guard’s (USCG) COMMSTA stations in Honolulu and Miami. It is expected to be an operational part of the NOAA SARSAT system on a 24/7 basis. The MEO system, which provides distress alert and location data for search and rescue (SAR) authorities in near real-time, uses spacecraft and ground facilities to detect and locate signals from the 406 megahertz distress beacons. By deploying Thales Alenia Space’s powerful and compact MEOLUT Next phased array solution, the United States will benefit from the world’s first spaceborne search and rescue system of this type. 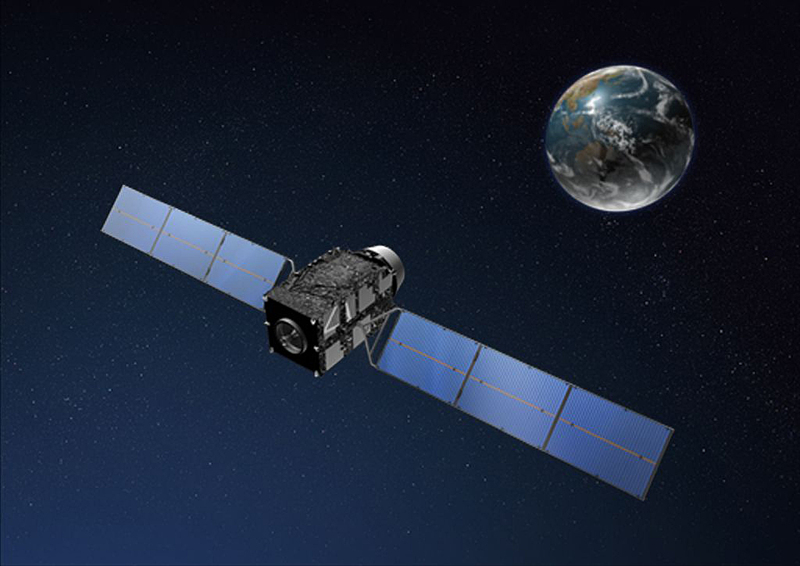 Thales Alenia Space, a Joint Venture between Thales (67 %) and Leonardo (33 %), designs, operates and delivers satellite-based systems for governments and institutions, helping them position and connect anyone or anything, everywhere. Since being commissioned in 2016, MEOLUT Next has delivered unrivaled performance, detecting distress signals from more than 5,000 kilometers away, according to Thales. Both France, Europe, Canada and Togo have already ordered Thales Alenia Space’s MEOLUT Next, and several more potential international customers are expected to announce their decisions shortly. This new capability saves lives. On July 2, 2017 at 6:30 a.m., 70 kilometers off the coast of Sardinia, a 12-meter sailboat with three people aboard triggered its Cospas-Sarsat beacon when its rudder broke and its engine failed. Its VHF radio out of range, the sailors quickly realized they were in a critical situation with waves over four meters high and the wind blowing at 40 knots. MEOLUT Next was able to receive and process their distress signals in less than five minutes, providing accurate positioning to authorities. An airplane identified the boat less than two hours after the beacon was triggered and a helicopter airlifted the crew to safety, saving all three lives. Conventional MEOLUT (Medium Earth Orbit Local User Terminal) systems use large parabolic antennas and are limited by how many satellite signals they can receive. Thales Alenia Space’s MEOLUT Next solution is compact, measuring less than six square meters, with the ability to track up to 30 satellites, significantly enhancing the distress beacon detection rate while expanding the coverage zone. Since there are no mechanical components, hardware maintenance costs are low, according to Thales.